First of all, I never can decide how to spell jewellery / jewelry / jewelery and now that I've looked that up, turns out it's yet another Brit / Yank thing; I'd not realised this before. I live in England, so English spelling wins: I'll use the long version. Victorian [generally most of the 1800's when Queen Victoria was on the throne (1837-1901)] clothing was big and very grand. Jewellery was designed to blend in with the clothing itself, sometimes even stitched to the front of an outfit. In contrast, 20th century jewellery was meant to complement the clothes and to stand out. In the post-industrial revolution period mass production techniques were applied to the manufacture of jewellery, bringing down the cost so that most everyone could afford some piece of jewellery. Also, this time period saw costume jewellery rise in popularity. 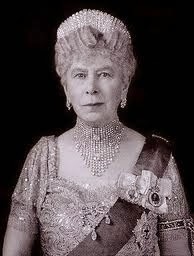 Queen Mary (1867-1953) (the present Queen's grandmother) owned a vast amount of jewellery, probably the largest collection in the royal family since Queen Charlotte. 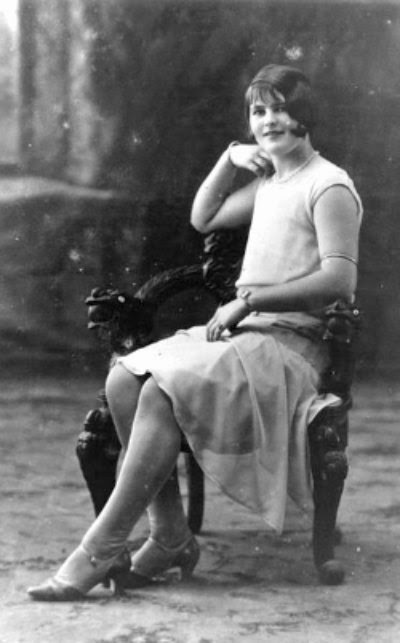 Her eldest daughter, also called Mary, married the Earl of Harewood whose family was based in North Yorkshire. This meant that Queen Mary often visited in the area of York, Leeds and Harrogate. Her visits were potentially disasterous for shop owners and upper class families alike. It seems that Queen Mary had the habit of examining the goods in the shop/home and if she found something really special she commented "I rather like that." And then sat in silence, waiting. Apparently the only acceptable reply was to give it to her, even if one really didn't want to (yet another reason to love democracy!). This explains at least some portion of her jewellery collection. In the Edwardian period (roughly 1901-1910) lace fronted gowns were popular, a revival of the rococo style of the 18th century. Jewels were sewn on to clothes in rows: rows of diamonds and rows of pearls were fashionable. The Arts and Crafts movement was around at this time and that look was very rustic, the movement being a rebellion against industrial manufacture. The Art Nouveau style, which embraced industrialism but also imitated nature, used high quality gold and a distinctive 'plique-à-jour' enamel (the term being French for letting-in-daylight), which resembles stained glass. Some of this may well find itself on my birthday wishlist! 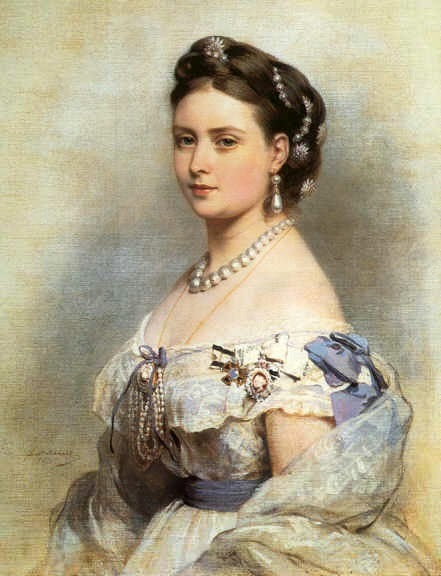 Another reason Queen Mary had so much jewellery is because she and her husband were Emperor and Empress of India. Part of this role involved attending durbars in India, gatherings of the princes of India and of the British Raj, everyone putting on their richest attire in order to impress each other. Mary of Teck, wife of George V.
At it happened an Act of Parliament forbade the crown jewels being taken out of the country, so she had to have other jewels made for this purpose. Somehow, upon her return to Britain the jewels seemingly became her own property. Neat trick, eh? Apparently bangles originated in India, and particularly pairs of matching bangles were hugely fashionable in Victorian and Edwardian times and some . We were told that it sometimes happened that if a family had two daughters, they would each be given one of the pair, which seems fair enough. However, we were told that this dropped the value by 70%. Seems excessive, but clearly they were meant to stay together! In the 1930s, bangles were worn even more, sometimes all the way up the arm. 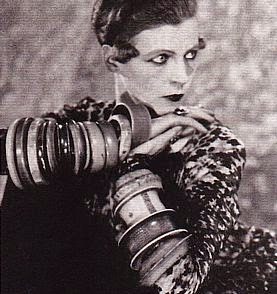 Nancy Cunard (1896-1965) took to extreme bangles. We'll pick this up next time, with tiaras!